The 4TB Seagate STEA4000400 (sgt4tb) was delivered in 02-Apr-2016. Before first use, I wanted to write to all sectors of the drive and decided to use the (drive's internal) low level 'security erase' (function) of the 'hdparm' tool. It ran about 12 hours***. The CPU remains inactive during this operation. The smart data read error rate value remains unchanged. I used hparam's secure erase to write to all sectors since with f3write the write speed goes down from an initial average above 60 MB/s to less than a tenth of that after few hundred GB had been written. The reason might be that f3write uses small write blocks. dd (disk-to-disk) writing /dev/zero or /dev/random also slowed down with sgt4tb after a while even when using large buffer size. I didn't care to research this further since neither f3write nor dd write all sectors anyway. These read/write speed results were obtained using an USB 3.0 adapter (USB 3.0 Express Card 54mm Adapter NEC Chipset Renesas uPD720202) in express slot in Express slot on a notebook with usb2 only. The read/write benchmarks results obtained below are using a LUKS/LVM encrypted disk, similar to Full disk encryption with LUKS (including /boot) apart from using 'gdisk' instead of 'parted.' The latter can't create a GUID Partition Table (GPT) as required by LVM and for disk volumes above 2TB capacity. Though this is not a disk encryption guide, the following commands show which encryption method is used and the logical volumes layout. Here's how the sgt4tb partitions (LVM on LUKS) were setup; it's just a sketch and not a guide for disk partitioning / formatting. For more details on the latter, see e.g. Full disk encryption with LUKS (including /boot) by Pavel Kogan), GPT LUKS LVM Arch Install Guide 2016 by pavornoc, Minimal instructions for installing arch linux on an UEFI system (with full system encryption using dm-crypt and luks) by mattiaslundberg, and for non-uefi Install Arch Linux on Encrypted LVM by mattiaslundberg. # to continue when disk is full. This is only usefull for root partitions. 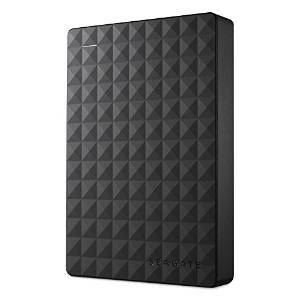 The data on the source drive WD my passport ultra 2tb (wdu2tb) consist of many tiny files, majority of files between 10 and 20 MB (jpg, orf(raw)), and a few big files up-to 80GB.